FOMABROM VARIANT 113 BO is a black-and-white, variable-contrast enlarging photographic paper on a baryta paper base. Its contrast can be varied in a large extent from extra soft up to ultra hard by using colour filters at exposure. The paper is designed for amateur, commercial and artistic photography as well as for other applications including special creative technique brom oil print. FOMABROM VARIANT 113 BO features a very rich half-tone scale over all contrast grades, a shining white paper base and saturated blacks. The paper is manufactured using silver chlorobromide emulsion that gives neutral-to-medium warm tone to the silver image. 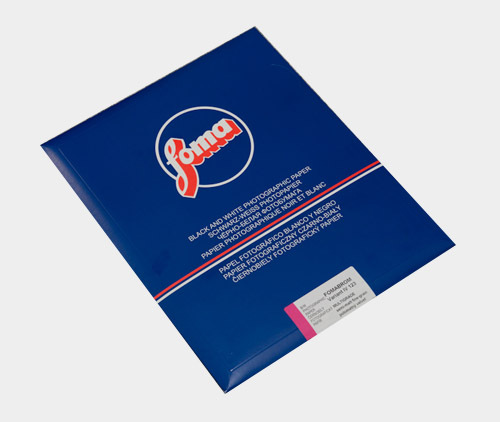 FOMABROM VARIANT 113 BO is manufactured on an baryta paper base in a matt fine-grain surface.